Function:1. Designed with a set of vertically movable, four-wheel driven muted massage hands. 2. Programmed with two emulational massage methods of kneading and flapping. 3. There are three speed options from Slow to Fast. 4. Automatic massage for the upper body. (There are three optional areas: Neck & Shoulder, Upper Body and Back & Waist). 5. In the fixed state of back stretch, move the massage hands vertically by pushing UP or DOWN buttons to massage any part of your back. 7. Tapping massage for thighs, varying with alternative modes and adjustable with three intensity levels. 8. Mechanical kneading massage for calves, with three speed options from Slow to Fast. 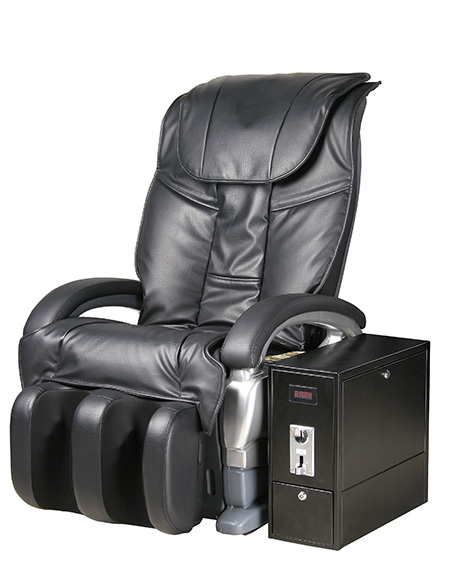 9. with separately and electrically lifting calves rest and backrest. 10. Restoring the massage hands automatically.